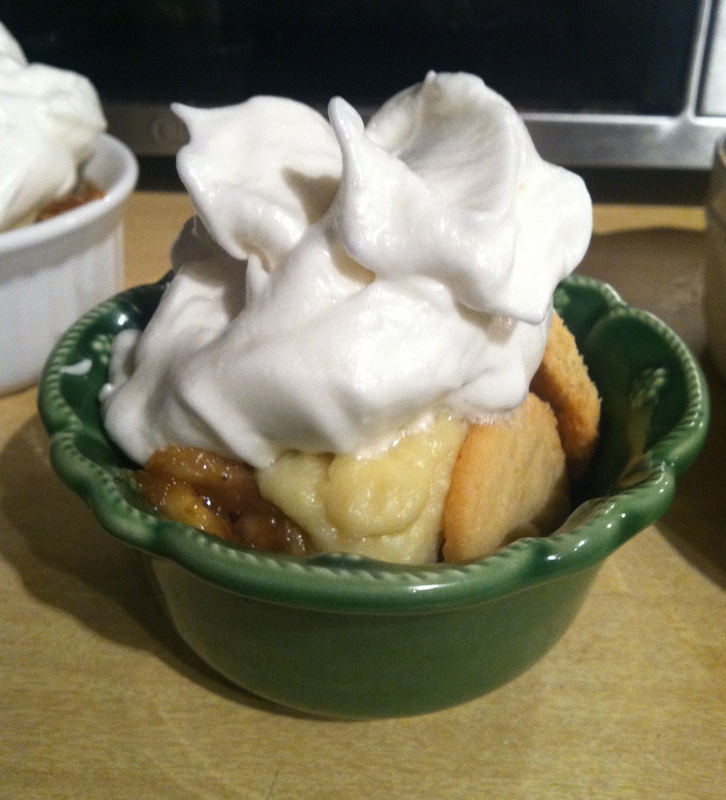 My husband LOVES banana pudding. I’m more of a chocolate/cake/cupcake/icing kind of girl, so up until this week I’ve never made banana pudding. Jarrod turned the big 28 on Monday, and I decided, only because I love him so so so much, that I would give it a whirl. I saw this recipe in my February edition of Southern Living Magazine, and figured that if it can make the cover, it must be good! We thought it turned out spectacular, and everything in the recipe is homemade. (Homemade= cheaper, and no scary ingredients). On his birthday we ate it about 30 minutes after it came out of the oven. It was still warm, and really good. The next day we had some after it had been wrapped up in the fridge all night. It’s up to personal preference, but I liked it even better cold! For the best flavor, choose ripe bananas with brown spots. As usual I used all organic ingredients. 1. Cook first 3 ingredients in a large skillet over medium heat, stirring constantly, 2-3 minutes or until bubbly. 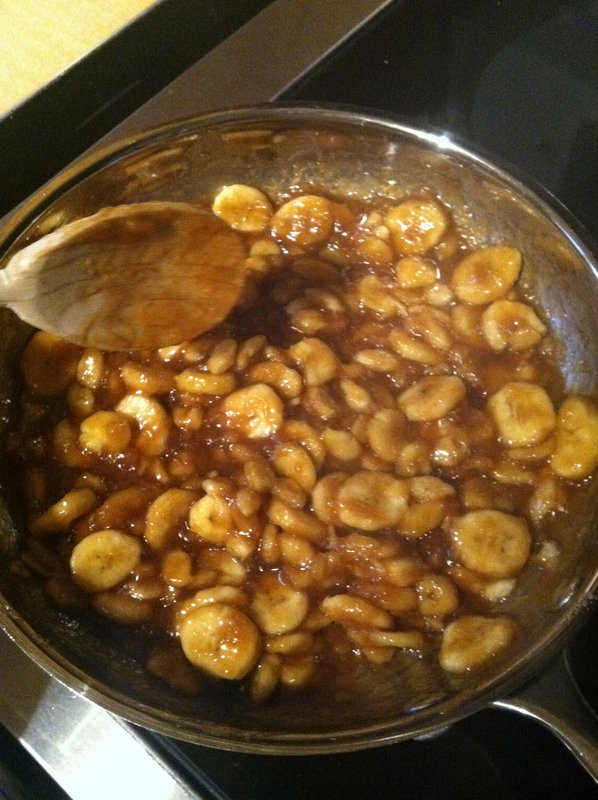 Add bananas and cook 2-3 minutes or until thoroughly heated. Remove from heat. 2. Whisk together 3/4 cup granulated (*cane) sugar, next 3 ingredients, and 4 egg yolks in a heavy saucepan. Cook over medium low heat, whisking constantly 8-10 minutes or until a pudding like thickness. 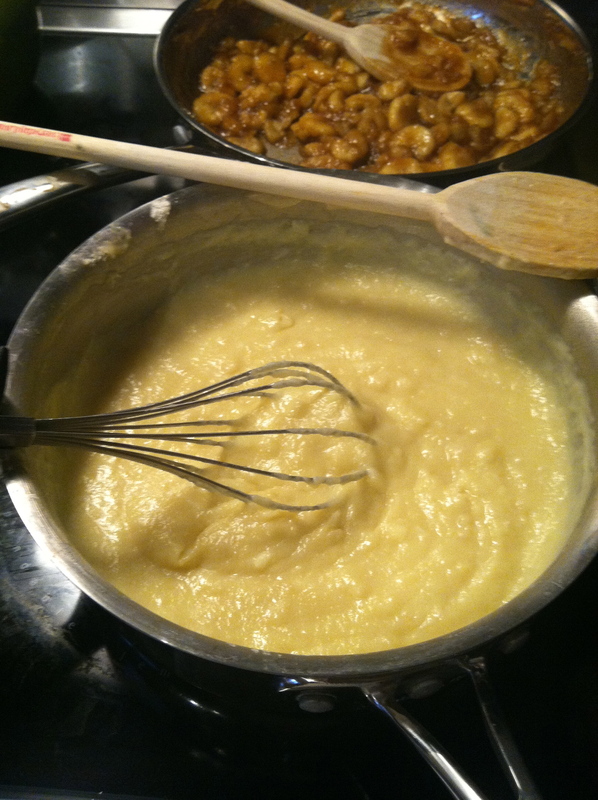 ( Mixture will just being to bubble and will hold soft peaks when it is lifted.) Remove from heat and stir in vanilla. 3. 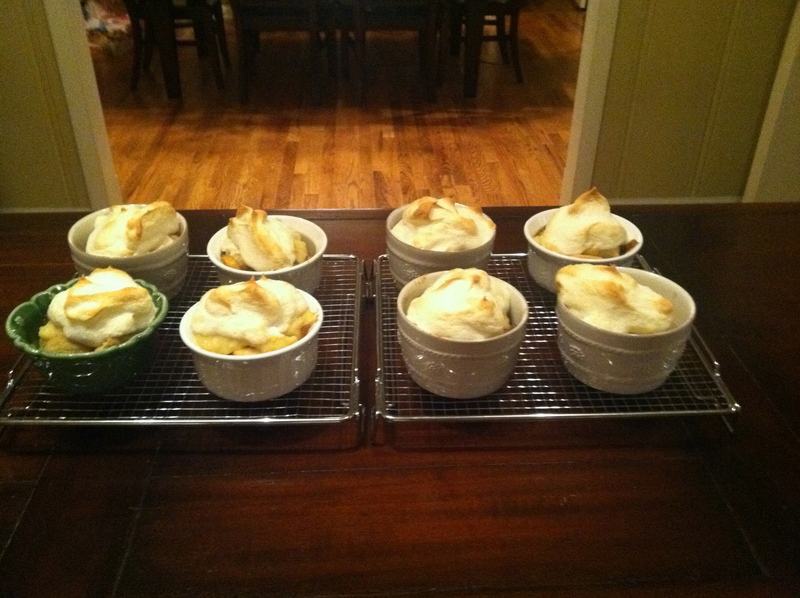 Divide half of the banana mixture, pudding, and wafers among 8 (1 cup) ramekins or ovenproof glass dishes. Layer with remaining banana mixture, pudding and vanilla wafers. 4. Beat 4 egg whites at high speed with an electric mixer until foamy. Add remaining 1/4 cup granulated (* cane) sugar, 1 tbsp. at a time until stiff peaks form and sugar dissolves (2-4 minutes). Spread meringue over ramekins. Place ramekins on a baking sheet. 5. 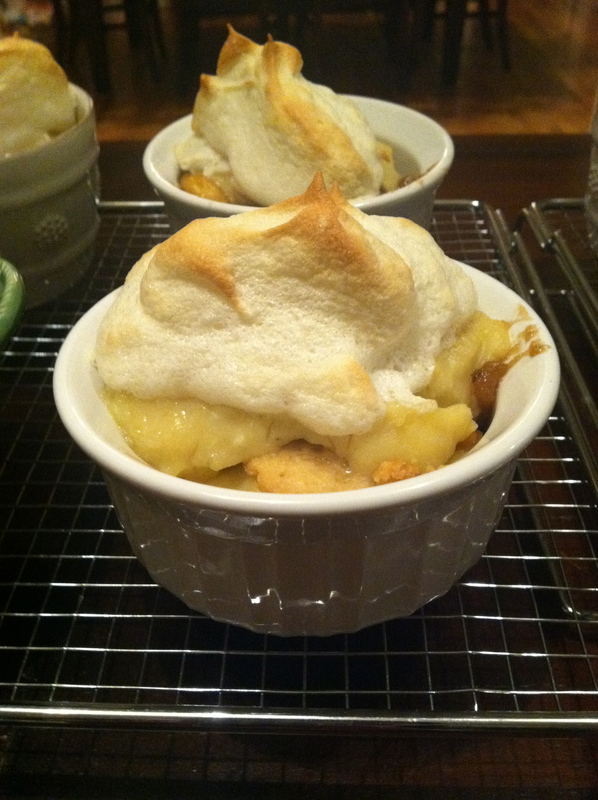 Bake at 325 degrees for 15-20 minutes or until meringue is golden. Let cool on a wire rack 30 minutes.